As the deadline looms, May would then put her revised deal to Parliament in London to approve, forcing politicians to choose between an orderly divorce and a potentially chaotic no-deal Brexit that could hit the pound by as much as 25%. Theresa May and the European Union are heading for a high-stakes, last-minute gamble that will decide whether the UK leaves the bloc with or without a deal, people familiar with both sides said. On March 21 -- just a week before Britain is due to exit the EU -- the prime minister will have the chance to win a late concession from European leaders at a summit in Brussels, the people said. The bloc is unlikely to offer sweeteners much sooner in case the UK side asks for even more, according to one of the individuals, who asked not to be named. The UK is on course to plunge out of the EU with no new trade agreement in place on March 29. The divorce accord that May spent a year and a half negotiating was overwhelmingly rejected in a parliamentary vote January 15. In the month since that record defeat, May has been trying to agree to changes to the divorce package to make it acceptable to members of Parliament. May’s office declined to comment on what it called “alleged remarks.” Earlier in the day, the prime minister began clearing the path to rush through a deal at a very late stage. In Brussels, too, officials are drawing up options for concessions that would be offered to the UK at the last moment. These include an extra-legal document that will probably make a binding commitment to try to end the contentious Irish backstop as soon as possible. the high-stakes strategy of running downtime, one EU diplomat said. The prime minister may not get the chance to do so until the final few days. 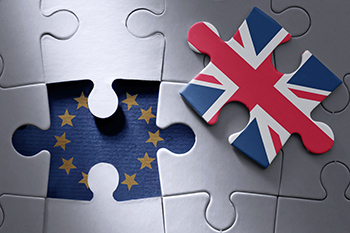 Pro-EU members of Parliament will have an opportunity to take control of the divorce process away from May -- to stop a no-deal split -- on Thursday, and again potentially on February 27.